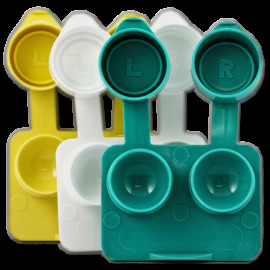 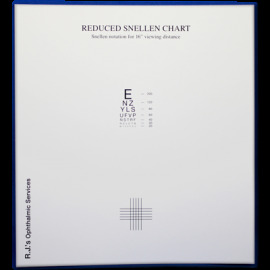 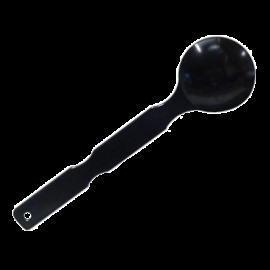 The Snellen Eye Chart ranges from 20/200 to 20/10 and is made of a flexible but durable plastic material with a matte finish. 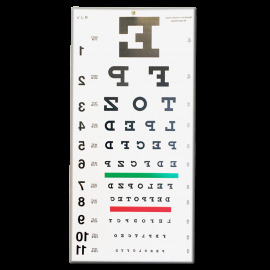 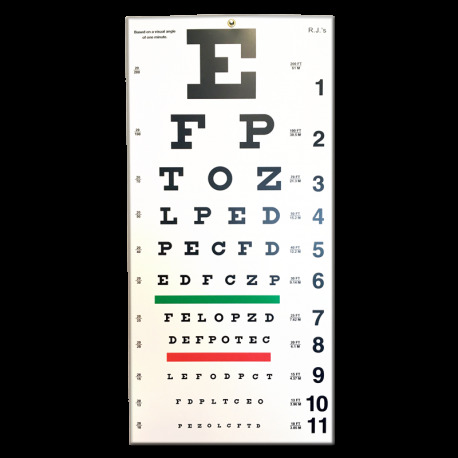 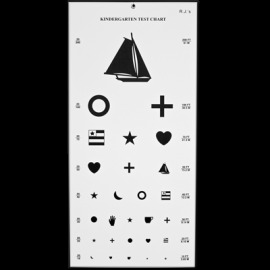 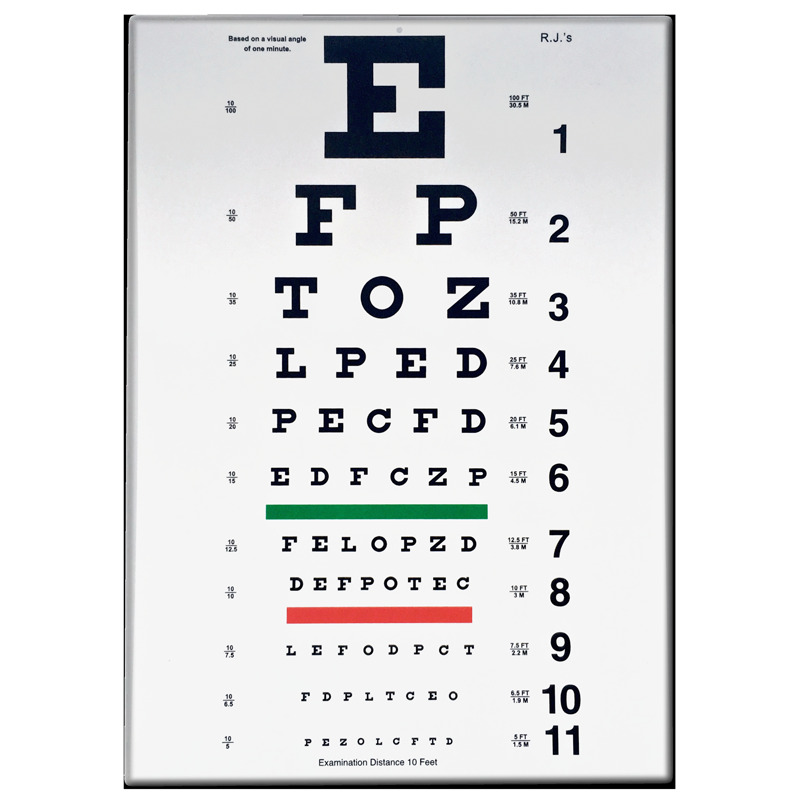 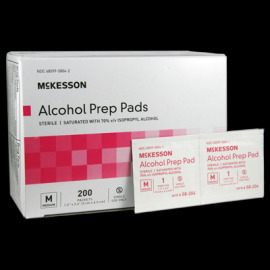 The 10' Eye Chart is 8" x 11". 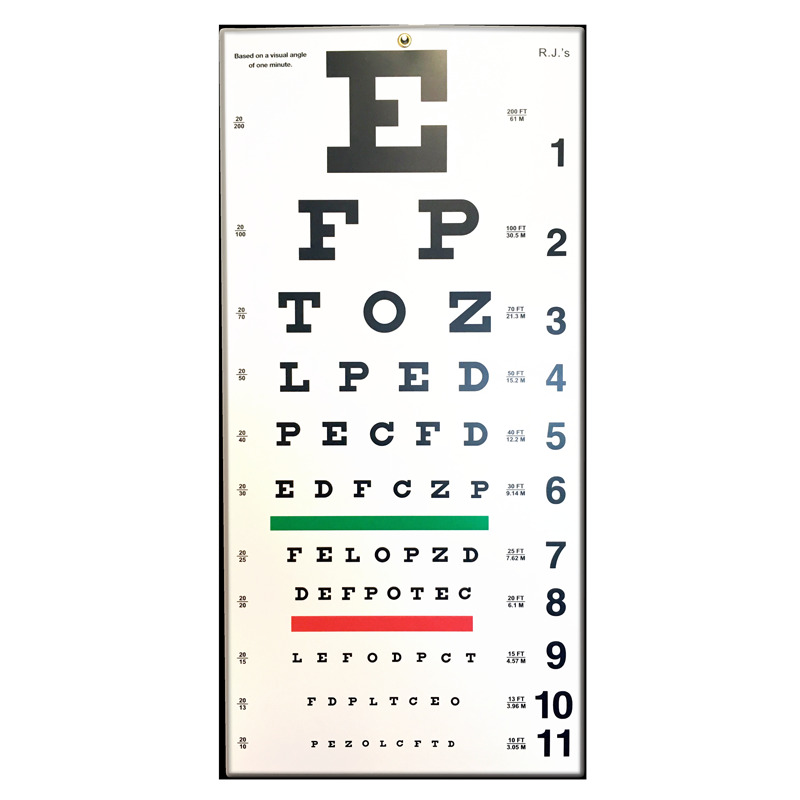 The 20' Eye Chart is 11" x 22".